Many people, especially older citizens, tend to be reluctant to drive their vehicle during the winter months, as they are not certain of the best way to navigate the roads when they’re covered with snow and ice. This can pose an issue when you have to relocate to a new home, or even when you wish to take a vacation out of state. If you don’t feel comfortable driving in the winter across long, potentially poorly maintained interstate roads, then a good solution would be to hire an auto transport company to move your vehicle. Auto transport businesses are specialists in moving vehicles between locations and over unique terrains. So, the services that they provide are perfect for many snowbirds. Some people today opt to move their vehicle with an auto transport business so that they arrive at their destination refreshed and relaxed, without having to worry about the safety of themselves and their vehicles. Keep in mind, many auto transporters follow varying routes depending on the time of year. 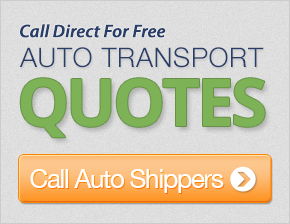 If your winter destination happens to be an oft-traveled route, such as Florida or Arizona, you may be eligible to receive a discount on your car shipping service. Auto transport services have, in the past, had the reputation of being quite costly, but, in reality, they are a rather low-cost choice. The service may even save you money in the long run compared to potential accidents should you drive yourself. Next time you need to travel during the cold and hazardous winter months, consider hiring an auto shipping company to move your car while you fly quickly and easily to your destination onboard a plane.